The company that is handling Alysa and Joshua, the Prowess Supremacy Inc. team headed by yours truly went all the way to Bangkok, Thailand, to give them our support and everything turned out perfectly well as it was a double victory for all of us. Last July 6, the Mr. and Ms. Teen International 2018 was held in Bangkok Thailand. The two winners of our World’s Best Model 2017 search Teen category, Joshua Helito and Alysa Esponilla, were sent to compete and they represented Quezon City, Philippines. They both won and gave honors to our country. Alysa was 2nd runner-up (Miss Teen International), l while Joshua was the grand winner of the male division with the title Teen Asia Pacific Prince 2018. They competed with some other Filipinos delegates from Manila, Pangasinan and Northern Luzon, and some of them also won in their respective division. 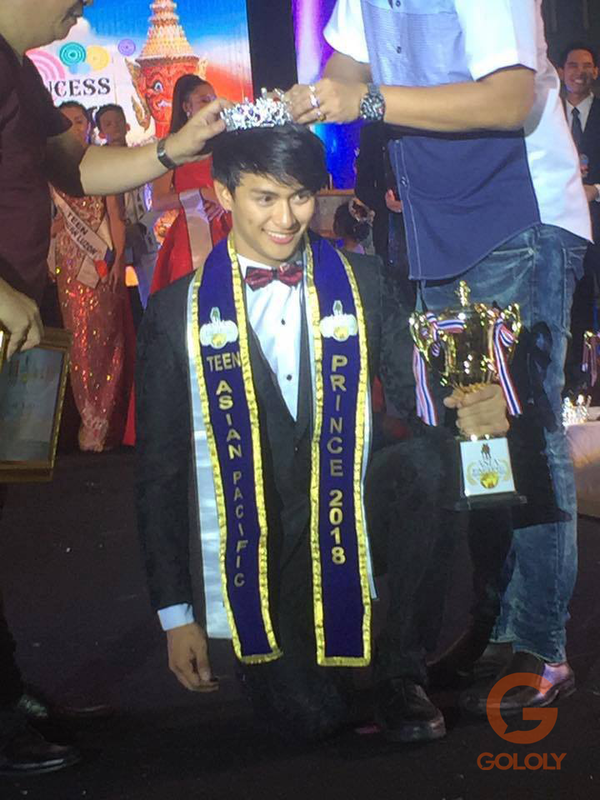 The other Filipinos who also won were Christopher Ocampo (from Pangasinan – Mr. 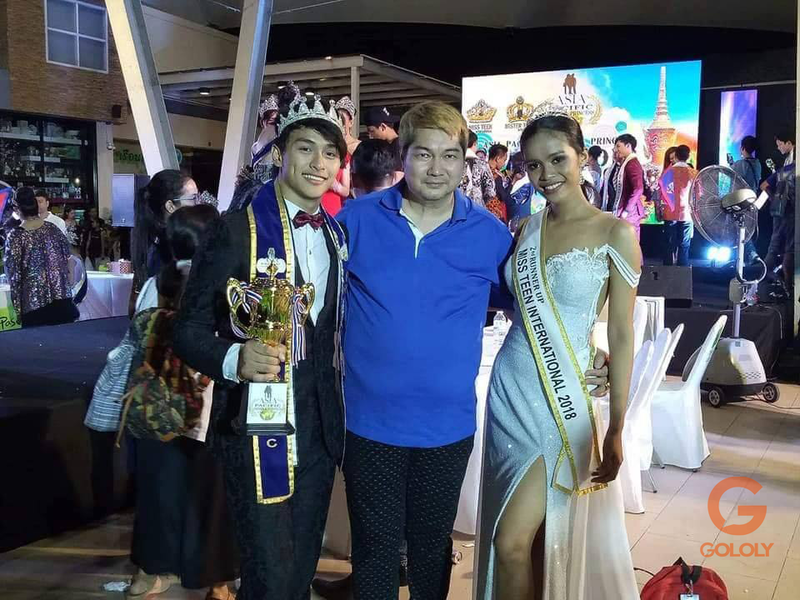 Teen Asia Pacific Prince 2nd runner-up), Jealyn Carandang Zuno (from Pangasinan – Miss Teen Asia Pacific Princess 1st runner-up, Kyle Abrio (from Pangasinan – Mr. International Teen of the Year 1st runner-up), and Liz Legeza (from Manila – Miss Teen Asia). Joshua and Allyssa arrival at the airport, fresh from the win. The pageant had two major titles at steak, Mr. and Ms. Teen International and Teen Asia Pacific Prince and Princess. The titles of Mr. and Ms. Teen International would be given to the winner for the last time as the organizer’s new title, the Teen Asia Pacific Prince and Princess would become the ultimate title of this pageant in the coming years. During the pageant, they chose 16 candidates (8 male and 8 female) per category and were given silver trophies as plaque of appreciation for joining the pageant. The remaining candidates became the winners of the pageant. Special titles were given to some candidates like Liz Legeza (Ms. Manila), who was given the title as Miss Teen Asia. After choosing the special titles, the runners-up and winners of Mr. and Miss Teen International were announced. From there, 6 candidates (3male and 3 female) were left and were given a final common question to determine who will win as 2nd runner-up, 1st runner-up and the title of Mr. and Ms. Asia Pacific Prince and Princess. The question was, “Why do you think you should win the title of Mr./Ms. Asia Pacific Prince / Princess? Joshua made a solid answer by saying that if he wins, he would promote his advocacy of implementing sports, particularly basketball as he was a former varsity player of the sport. He explained that he would do this to help the youth be more health conscious as youth nowadays are too much involved with gadgets leaving no more time for socialization and exercise. Also, another problem of the youth is being involve with drugs. He explained that if the youth would develop interest in sports, they would devote more time in more productive and healthy activities instead of wasting time in taking drugs that is very bad for our body. The crowd cheered with Joshua’s answer and found it to be practical and direct to the point. Thus making him a sure winner to the crown. This was the first time our company sent candidates to an international competition and both our entries won in their respective categories. This is a good sign that we would be sending more entries to international competitions soon and conducting local search for winners to be set to international competitions.